22 percent of UK iPhone owners regret the purchase, according to a survey. The poll, conducted byGoodMobilePhones, asked 1,694 Brits aged 18 and over whether they were satisfied with their phone. And it would seem that a decent chunk of those who opted for Apple’s shiny high-end smart phone wish they hadn’t bothered. So why would anyone regret filling their pockets with iPhone-flavoured goodness? 43 per cent of those who said they ‘regretted’ getting an iPhone claimed it was down to jealousy of rival smart phones, whereas 25 per cent blamed battery life. While 1,694 people is a decent survey size, not all of those will have owned iPhones, so the actual number of iPhone owners polled will be smaller, and therefore any results garnered will be a bit less reliable. But is there a nugget of truth buried in these results? Apple certainly knows how to market its gadgets, filling your telly, trains and Tube with its typically trendy advertising, so we’re sure there are a number of folks out there who get excited about owning an iPhone, only to find out post-purchase that it’s not really the right mobile for them. Almost all the applications which handle expenses, income, budget, and accounts are so difficult and boring to use that you lose interest. Entering a transaction is no less than a burden. ExpenSense solves this problem. 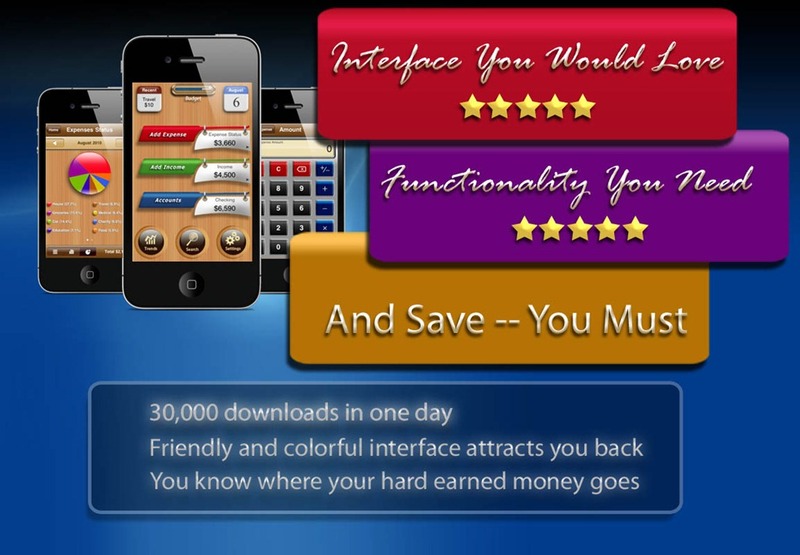 The interface is very innovative and functionality is carefully crafted to match any user — casual or formal. For analysis there are sufficient tools built in. For example, income vs expense, category pi and bar chart, subcategory pi and bar chart, trends for category/subcategory, etc. If you are still not satisfied you can export your data in a pretty tabular format in email or export in EXCEL/NUMBERS format (CSV format) for more detailed analysis. 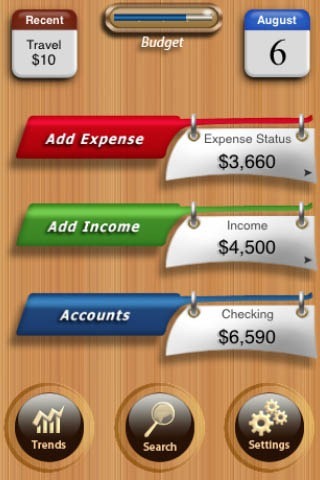 ExpenSense is a very easy to use beautifully designed personal finance application. If you are a home user, own a small business, or an employed individual and do not have any special accounting knowledge, then this applications is for you. With its easy to use interface, one can record personal expenses, income, and manage budget/accounts in a very user friendly way. With its visually rich reports and graphs user will gain an insight into his financial status and can pinpoint the areas of excessive expenses. This can help the user to trim down his expenses or adjust his budget accordingly. You can organize your cash flows, expenses and bank accounts in one place. ExpenSense helps you to distinguish your expenses in categories and subcategories so that expense tracking can be done to the best granularity. The features which make ExpenSense unique, is its rich feature set, presented in an elegant and clear way. ✔ Status for expense, income, budget on main screen. ✔ Add your own expense categories/subcategories. ✔ Easily reorder expense categories/subcategories. ✔ Customize icons for categories. ✔ Optional complete accounts management. ✔ Add any number of different accounts, such as credit card, checking account, savings, cash etc. ✔ Account statement available for every month. ✔ Money transfer across account. ✔ Built-in calculator with large number pad. ✔ View recently added/modified transactions easily. ✔ View monthly or daily transaction. ✔ Trend graphs for every expense category and subcategory. ✔ Expense and Income graph of each month. ✔ Highly flexible budget maintenance on per category level. 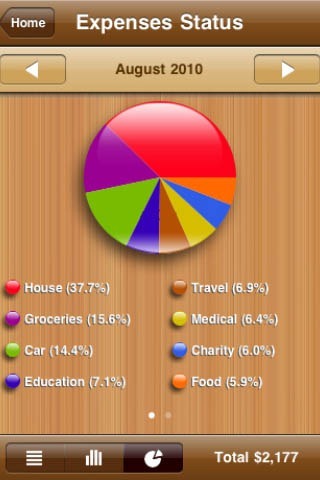 ✔ Lets the user to gradually bring categories in to budgeting. ✔ User can enable/disable budget roll-over option on per category basis. ✔ Visual indicator of budget vs expenses. ✔ Full Text/Amount Search: Powerful search to easily locate any transaction. ✔ Major currency symbols list (Also contains no currency symbol option). ✔ Export tabular report through WiFi and email. 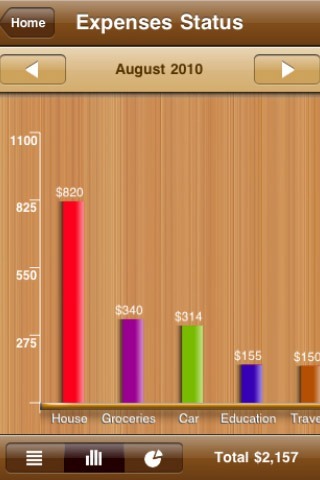 The next version with Retina support and recurring expenses is undergoing final testing. As for the price, it is currently pretty low $1.99, it was previously selling for $4.99, and the chances are that it will go back. Customer support is responsive. They lend ear to every small request. With more than 100 reviews around the globe its average is 4.5 star. It is beautiful, well thought of, and fun to use. Go and get it, you won’t regret. He brings a fun app for the shy guys, actually it was his first app on iTunes store and was featured in Becketts top iPhone apps..
if you owe somebody big? Like I mean really big. They owe you something big? And I don’t mean money…I mean something big like a favor, or a poke in the ribs, or maybe just a hug, or…..maybe money. Then this is all you need to remind them. You can quickly make an I.O.U or an U.O.Me and show it to them or save it an send it as an e-mail MMS or post it on your social network site. The note will be in your camera roll to do with as you please. Easy to use, just tap and type. 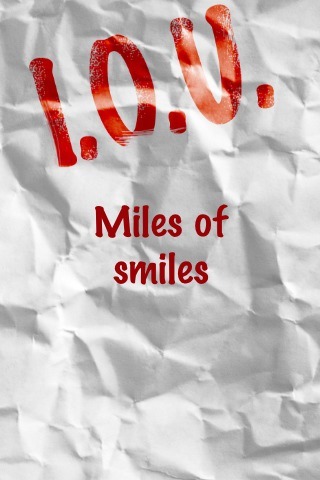 Tap the bottom of the screen to swap from IOU’s to UOMe’s. 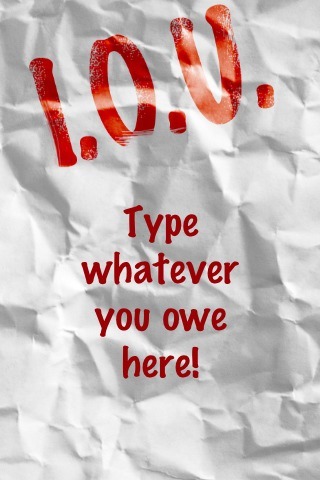 Save your I.O.U or U.O.Me by tapping the upper portion of the screen. It will automatically save to your camera roll. That’s it. * these are not legal tender and can’t really get you anything except a good laugh. Use them wisely and often. By the way we are having a giveaway will seeds some promocoves so stay tune with us on twitter @corebuilder and @vonswankoFSM who has arrange some for you guys also if you have anything to share with us please contact to us anytime.